The new millennium was a period of growth - a new access road, brand new lodges, the 2002 Winter Olympics and this once “locals only” powder stash was discovered by people from around the globe. Summer operations began with a maze of challenging mountain hiking and biking trails and scenic summer vistas. Snowbasin Resort was now on the map and there was no slowing down. The Olympic Lodge (later changed to Earl's Lodge) was the first lodge to be constructed since the Huntington Haus back in early 1960's. Needles Lodge and John Paul Lodge followed. 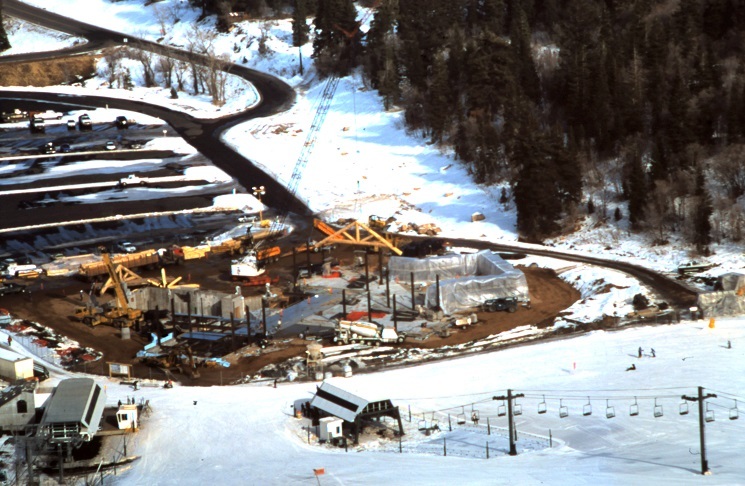 The grand rock and lodge pole structures were built in the early part of the 2000's and finished just in the nick of time for the 2002 Winter Olympics. 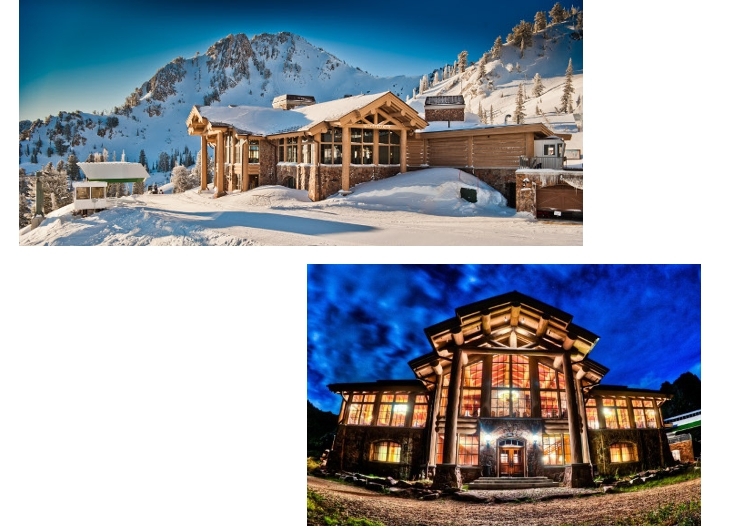 Built by British Columbia based company, Sitka Log Homes. I'm always awestruck whenever I walk into any of the three lodges and I never get tired of the breathtaking views both inside and out. The two level building features six stone fireplaces, offices, restaurants, lounges and dining rooms. Spruce log columns 40 inches in diameter support 50 ft wide trusses of 24 inch diameter logs, while a grid work of large diameter logs are featured in reflective ceilings throughout the structure. The exterior features 18 inch wide half log siding and stone work. The main day lodge alone was 21 semi trailer loads of finished logs. The 19,385 sq.ft Needles Lodge, sits at 8,710 ft elevation. Getting materials to the high elevation proved very challenging. All of the material had to be off loaded at the base of the mountain and taken to the building site with Caterpillar bulldozers pulling trailers. 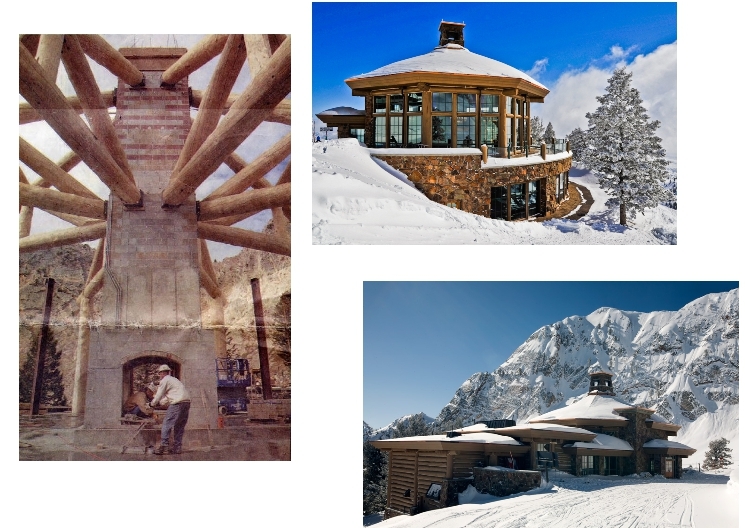 The John Paul day lodge is designed around a large, two-story, four-sided fireplace where visitors can warm themselves as they look out over the valley or up at the start houses for the downhill courses. This building is octagon shaped and features eight large log half trusses which appear to jut out from around the central fireplace. Environmentally concerned, the owners requested that “dead-standing” Spruce be used in the projects. All the timber was found in Sitka Log Homes' own province of British Columbia. 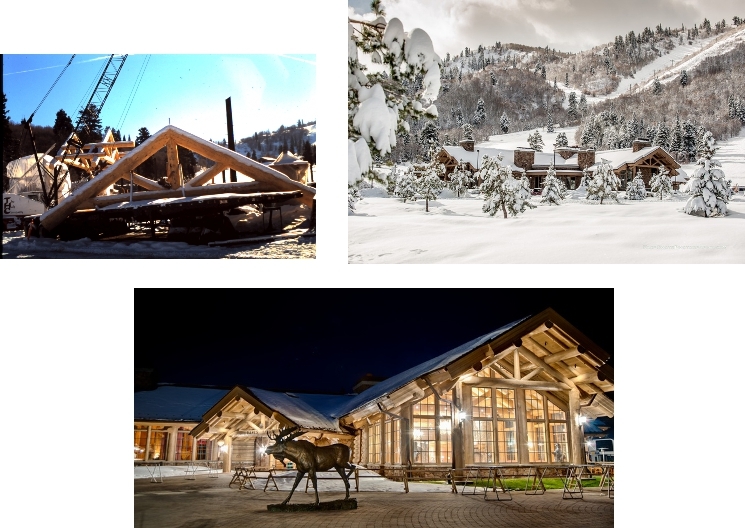 The region offers 80-120 year old, tight grained, straight and sound timber. 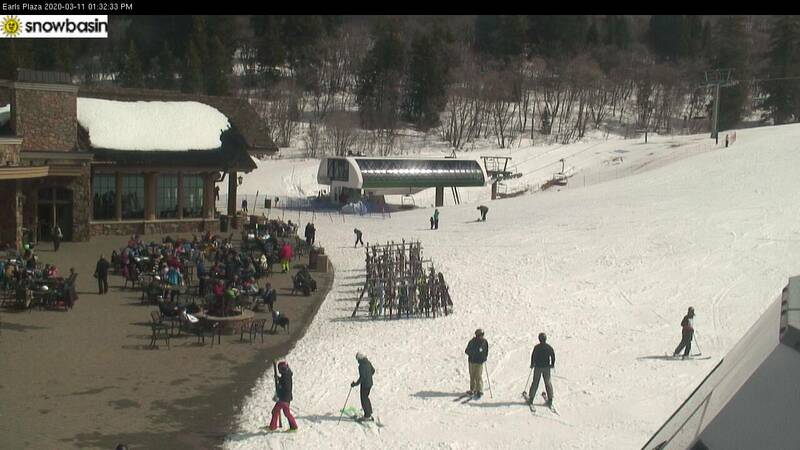 The biggest ski racing event in Snowbasin Resort's history came in February of 2002. 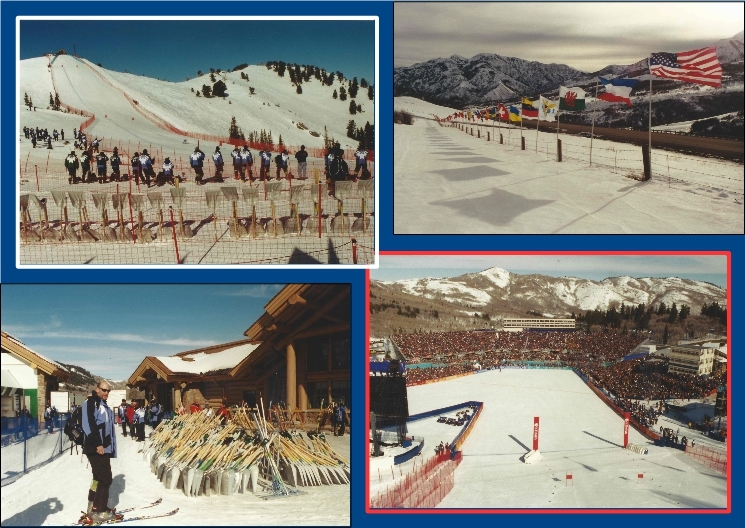 The Downhill, Super-G and Combined skiing events were held at Snowbasin Resort for the Salt Lake 2002 Olympic Winter Games. All eyes were on Snowbasin during this magical time as ski teams, volunteers, and spectators from around the world competed on one of the most challenging Olympic downhill runs ever designed. 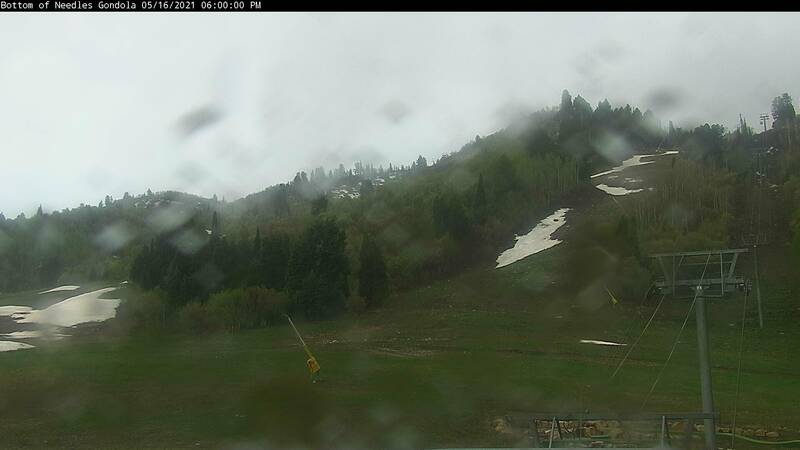 In June of 2004, Snowbasin Resort officially became a four season resort. 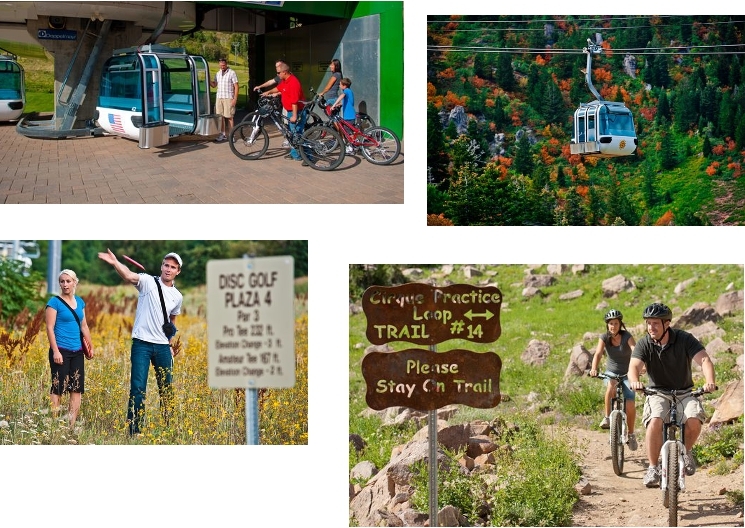 An extensive mountain biking trail system was built, Gondola rides, a hiking trail to the top of Middle Bowl Cirque, mountain dining and disc golf. 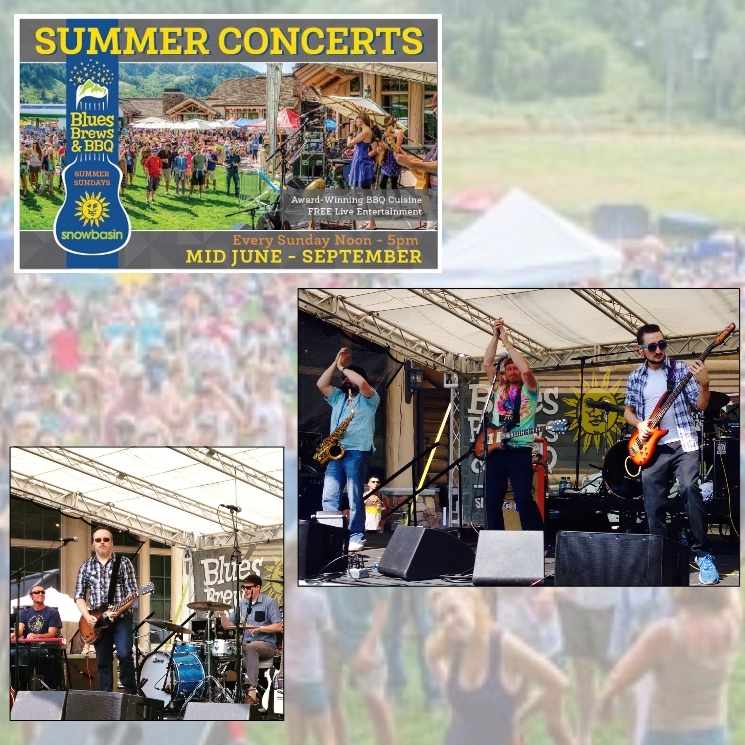 Every summer since opening popularity has grown and more and more events, races, and entertainment have been added. Summer operations run from Mid-June through Early October. 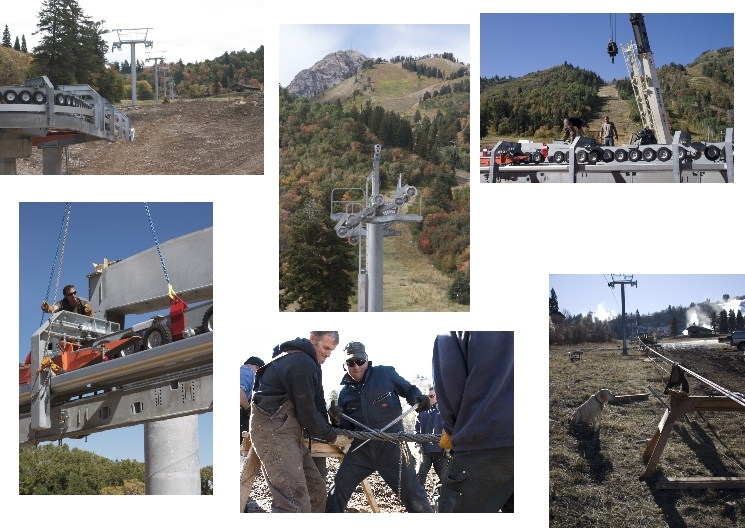 In the Fall of 2007 the Littlecat Double was removed and replaced by a brand new high-speed quad chairlift. The new quad was placed on the opposite side of the Littlecat Double. This new placement helped maintain a constant grade from top to bottom which is much more preferable for a beginner. 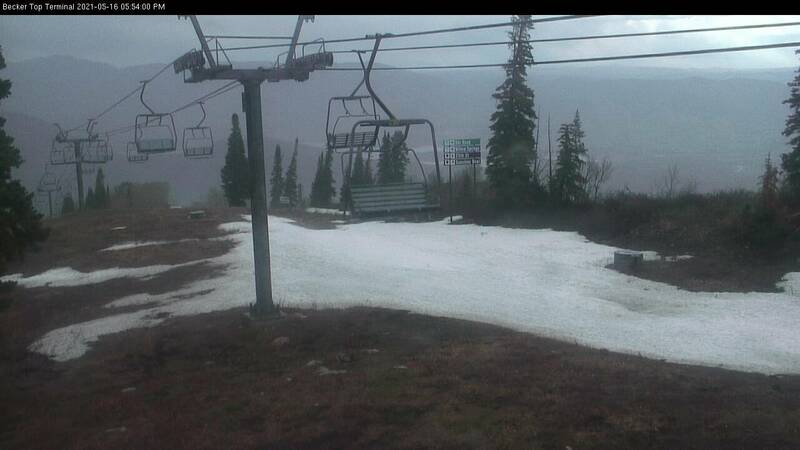 Trivia: (1) The new lift is placed near to where the old Powder Puff T-bar (1967-1976) was positioned. (2) The unloading station is placed on almost the exact sport of the old A-Frame Ski School building. Starting in the 2009-2010 winter season Snowbasin Resort hosted one of the three stops for the Winter Dew Tour for three straight season. Four three days all eyes were on Snowbasin as top Super Pipe and Slope Style competitors caught “big air” and wowed the spectators in a fun and festive atmosphere. 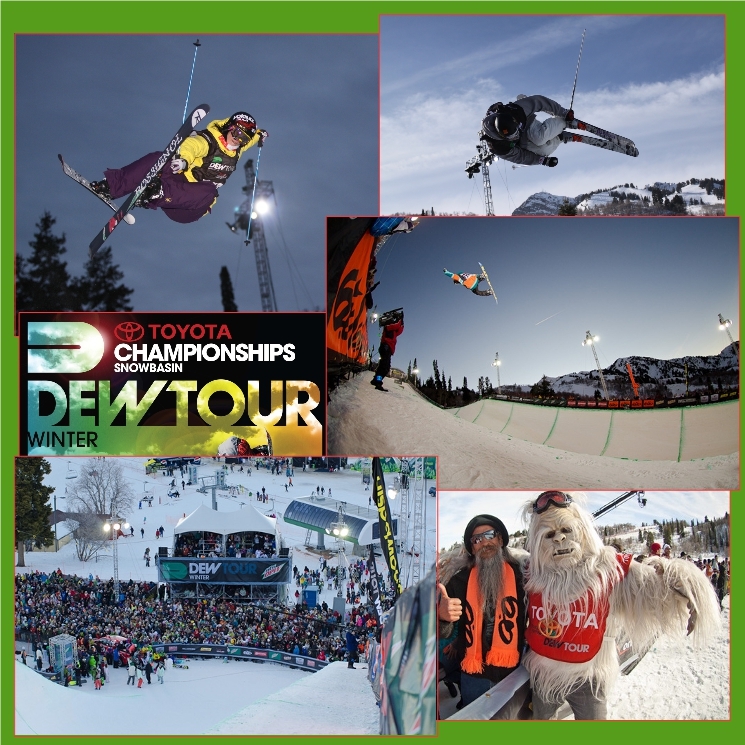 Snowbasin Resort hosted the Dew Tour three season in a row and it was probable that they would have hosted more if the stops weren't cut down to one. Trivia: Snowmaking for the superpipe ran day and night from opening day until about a week before the competition. That's over two months! 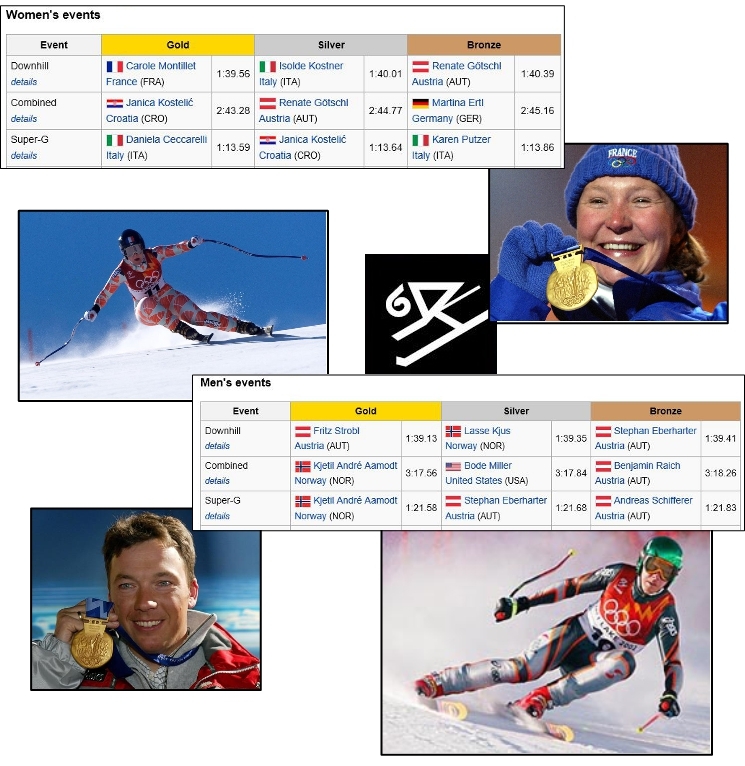 Top left and right: Superpipe Ski competitors . Photo source: Mike Owens Top middle: Superpipe snowboard competitor. 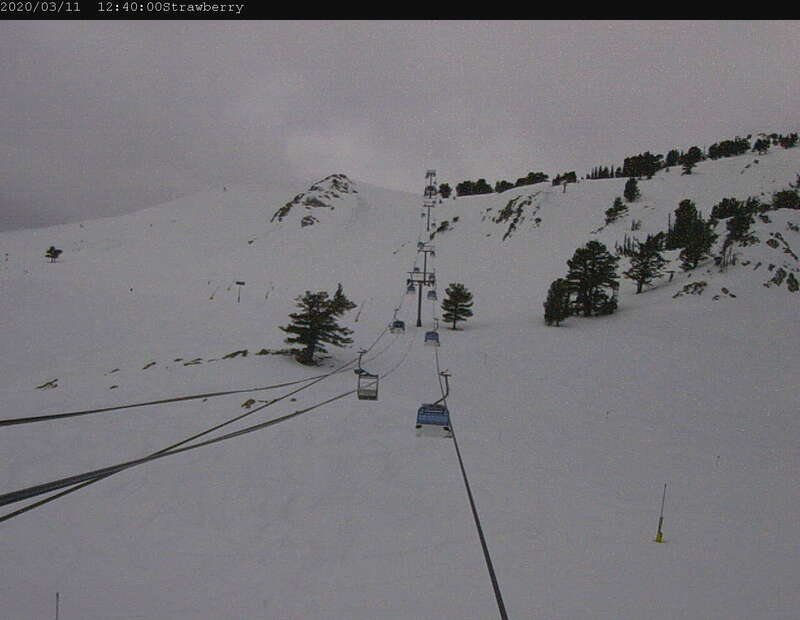 Source: Internet Bottom Left: Superpipe grandstand Source: Internet. Bottom right: Yeti Source: Internet. It's been an honor writing this blog series this season and I would like to thank everyone that donated time, awesome photographs, and stories. It would not have been as successful without your help. Thank you all! Beginning this summer I'll be starting a new blog series that emphasis on You “the winter enthusiast”. Throughout the summer, fall, winter and spring I'll be posting stories about area locals, Snowbasin Resort employees, and local legends. 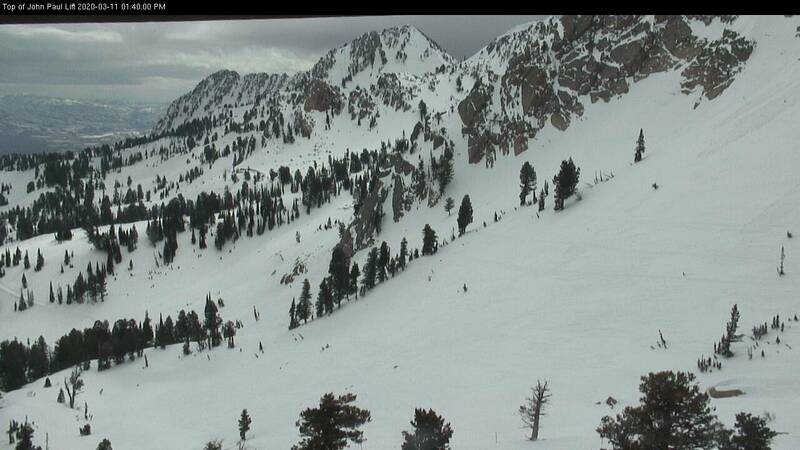 I will also continue to include Snowbasin Resort history in my blog posts when available.